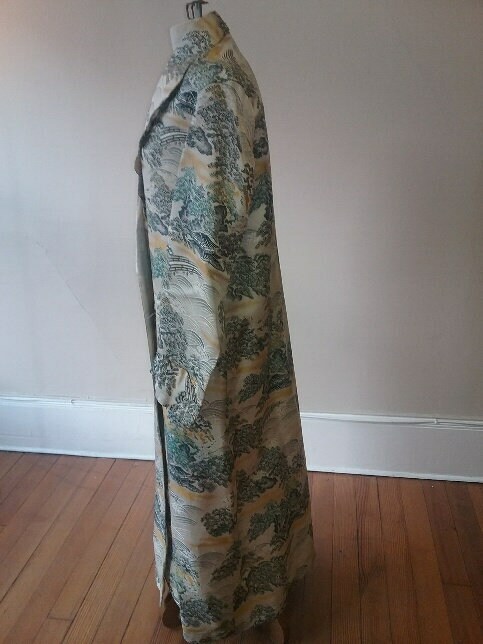 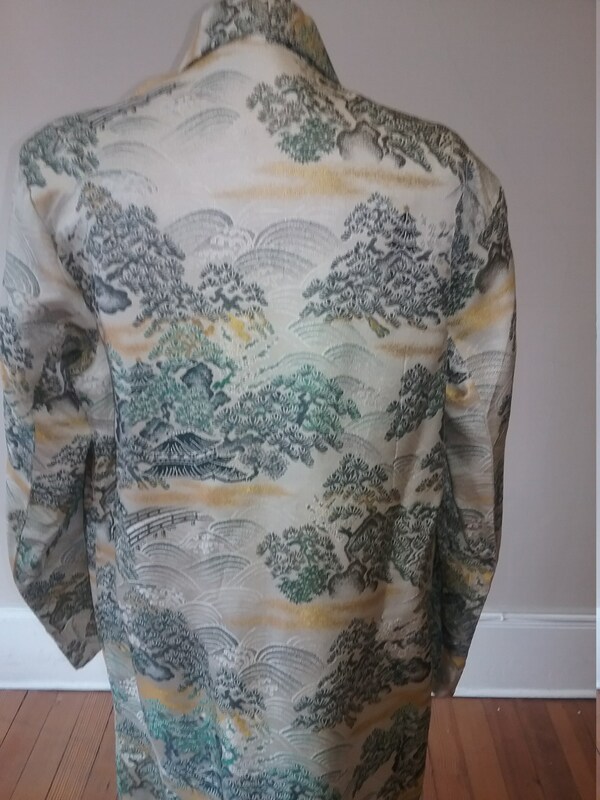 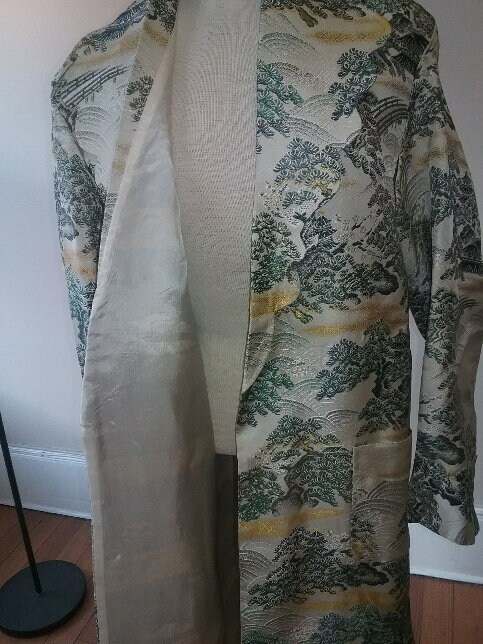 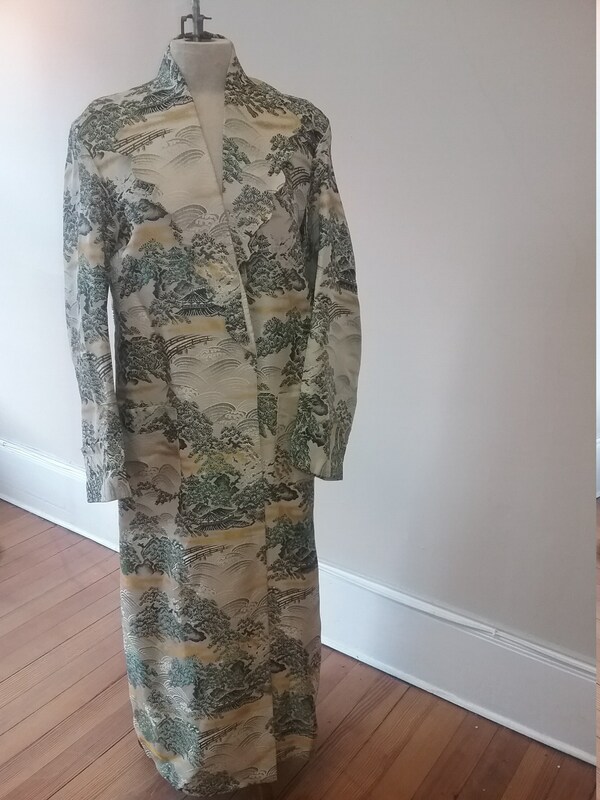 1950's, 38" bust, ecru, black, yellow and green Chinese brocade robe. 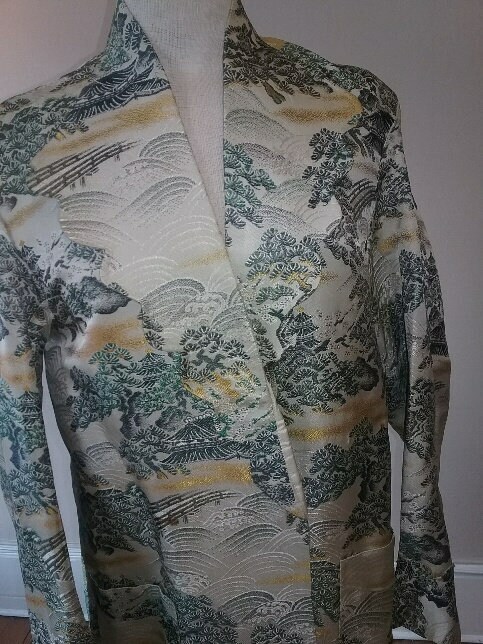 Lapels are scalloped, sleeves are straight. 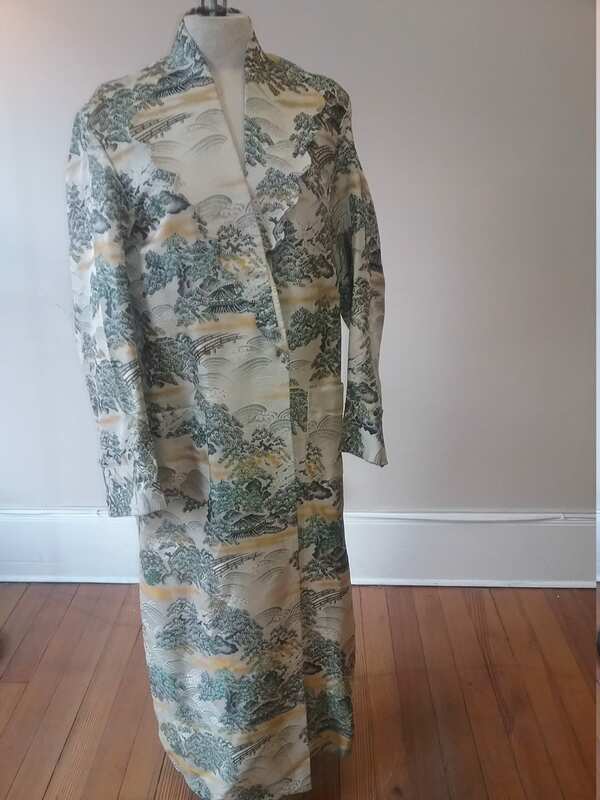 Fully lined in white silk.